Hidden, Mixed media, 11 in X 9.5 in, 2005. Layering Exit, Mixed media, 12.5 in X 8.75 in, 2005. Looping Out, Mixed media, 17 in X 8.5 in, 2005. 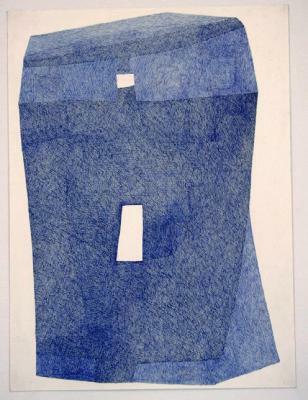 David Konigsberg, Adiuship A, monotype/pastel , X , 2001. David Konigsberg, Adiuship B, monotype/pastel, X , 2002. David Konigsberg, Adiuship C, monotype/pastel, X , 2001. David Konigsberg, Cuts and Release, Printmaking, X , 2000. 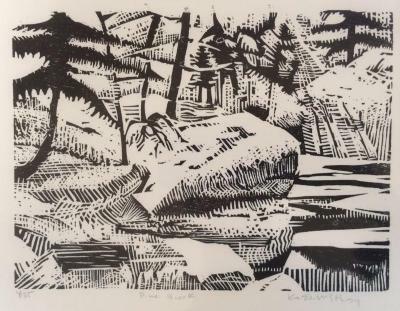 Kate McGloughlin, Pine Brook, Woodcut, 6 in X 8 in, 1994. 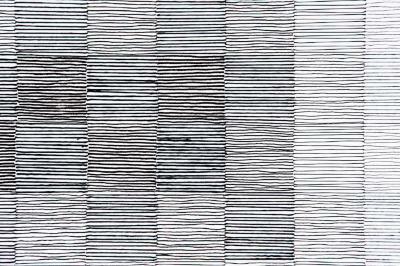 Gelah Penn, Whaddayamean series #3, Drawing, 44 in X 30 in, 1990. Sherae Rimpsey, 321 Flank Fatigue: The Falure to Preserve or Maintain, ink, oil paint, oil pastel on paper, 10.5 in X 10.5 in, 2006. Sherae Rimpsey, #46 Flank Fatigue: The Falure to Preserve or Maintain, ink, oil paint, oil pastel on paper , 10.5 in X 7.5 in, 2006. Sherae Rimpsey, #49 Flank Fatigue: The Falure to Preserve or Maintain, ink, oil paint, oil pastel on paper , 10.5 in X 7.5 in, 2006. Sherae Rimpsey, #58 Flank Fatigue: The Falure to Preserve or Maintain, ink, oil paint, oil pastel on paper , 10.5 in X 7.5 in, 2006. Sherae Rimpsey, #66 Flank Fatigue:The falure to Preserve or Maintain, ink, oil paint, oil pastel on paper , 10.5 in X 7.5 in, 2006. Sherae Rimpsey, #67 Flank Fatigue: The Falure to Preserve or Maintain, ink, oil paint, oil pastel on paper , 10.5 in X 7.5 in, 2006. Sherae Rimpsey, #71 Flank Fatigue: The Falure to Preserve or Maintain, ink, oil paint, oil pastel on paper , 10.5 in X 7.5 in, 2006. Russell Roberts, Conference of the Birds #21, MM, 22.5 in X 30 in, 2004. Russell Roberts, Conference of the Birds #23, MM, 30 in X 22.5 in, 2004. Sepideh Salehi, Grande Madre, Pencil, 39 in X 55 in, 2006. Andra Samelson, Bix #9, Drawing, 22 in X 30 in, 1998. 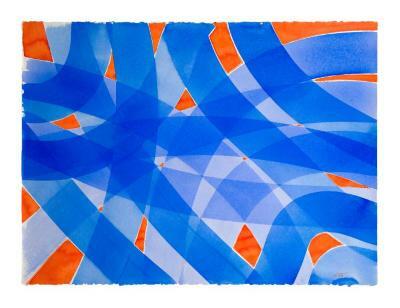 Robert Schwinger, Red & Blue Swirl, watercolor on paper , 22 in X 30 in, 1979. 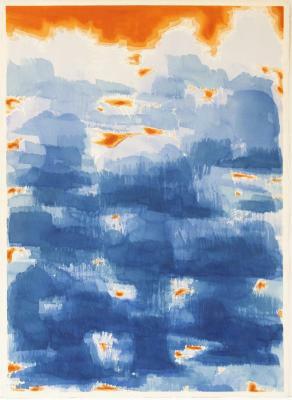 Robert Schwinger, Blue Cloud, watercolor on paper , 22 in X 30 in, 1995. Robert Schwinger, Red Sky, watercolor on paper , 22 in X 30 in, 1995. Robert Schwinger, Southwest, watercolor on paper , 22 in X 30 in, 1995. Laurel Shute, Acrapoint , cyanotype and Van Dyke brown , 6 in X 9 in, 1997. 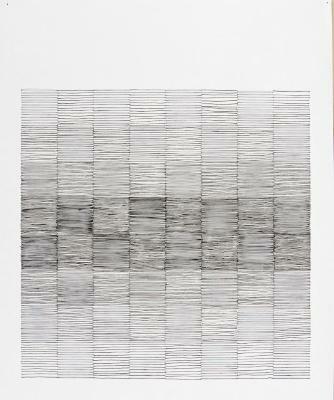 Audrey Stone, #17, Thread, ink, and pencil , 17 in X 14 in, 2009. 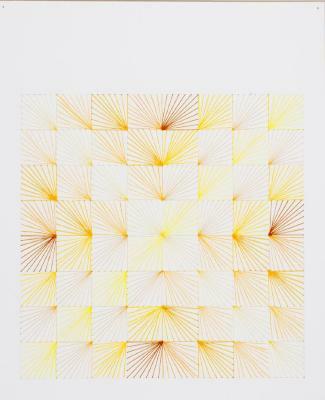 Audrey Stone, #38 (yellow X), Thread + color pencil + pencil , 17 in X 14 in, 2010.